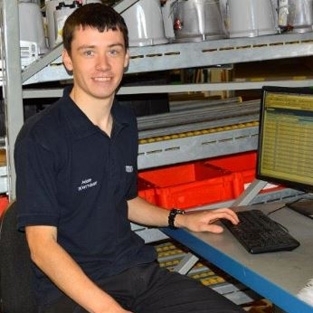 My Name is Adam, I am 20 years old and I am a 3rd Year Technical Apprentice working for Rotork Controls, based in Bath. year of my HNC while working in various departments such as purchasing, electronics and learning manufacturing processes in the shop floor workshop. I also gain supplementary qualifications such as ICT amongst others. Over the further 2 years of the apprenticeship I will continue to work around all the relevant departments at Rotork such as Technical Sales, Product Assessment and Quality Assurance. There may also be opportunities in the departments that I will be working in such as site visits and Sales events. are working correctly to safe standards. Apprentices take part in many extra activities outside of work hours such as charity fund raising, careers events and social activities with the other Apprentices. Once the apprenticeship ends, I will have the opportunity to work for Rotork full time in an area that is best for me and the business.